Much of what went wrong in the Utah program that led to this season’s 6-25 debacle happened prior to new head coach Larry Krystkowiak’s first game on the sidelines at the Huntsman Center. 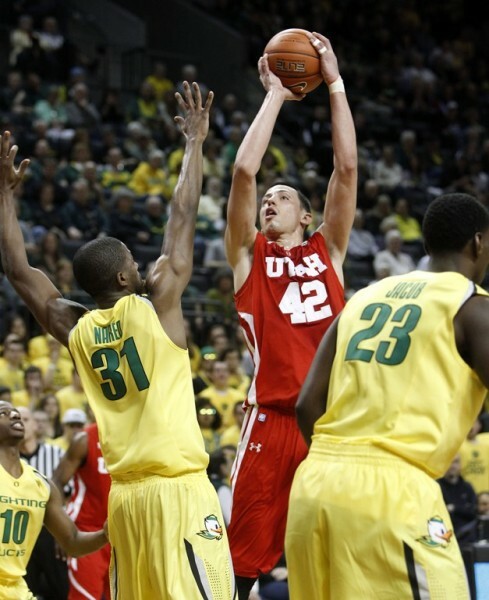 Two years ago, following a disappointing and underachieving 14-17 season, five Utes, including the team’s two leading scorers, transferred out of Jim Boylen’s program. Then, following a 2010-11 season that took a step down from there with a 13-18 record that led to Boylen’s demise, six more players, including leading scorer and rebounder Will Clyburn, bolted from Salt Lake City. As a result, when the Krystkowiak era tipped off in November, there was a serious lack of talent in Ute basketball uniforms. Throw in the fact that 7’4” former Mountain West Defensive Player of the Year David Foster missed this season with a foot injury and Utah had to rely on just three returnees with any experience– point guard Josh Watkins, center Jason Washburn, and guard Chris Hines – along with six newcomers and a handful of walk-ons. Then Watkins, who was the team’s leading scorer and assist man, was dismissed prematurely in January. In short, this Ute team never really had a chance in its first year in the Pac-12. Even in a conference with a talent level near historic lows, the Utes just didn’t have the horses to hang with the bulk of the conference. There was a time, well into December, where it was questionable whether the Utes had a chance at earning so much as a single win against a Division I team. Then they strung together two straight home wins against Idaho State and Portland (admittedly, two really bad teams) before going on to win three conference games, including wins over Washington State and Stanford that go down as significantly improbable events. As absurd as it may seem, that 6-25 record is actually an overachievement for this team. Despite being surrounded by ordinary-at-best talent, Washburn had a really, really good junior season. He scored more points in 2011-12 than in his previous two years combined on his way to 11.4 points per game, with 6.2 rebounds and 1.4 blocks mixed in there. He was the only player on the team with an offensive efficiency rating north of 100, and he turned into a real leader for the Utes as the season progressed. With the talent level due to bump up a bit next season, Washburn could be a major cog in the rebound of the Utah program. For the third consecutive offseason, the Utah roster will undergo a significant shakeup, with six players transferring out this year, making for a total of 17 outgoing transfers in the last three seasons. The difference is, many of this year’s defections come with the tacit approval of the coaching staff. Many, but not all, however, as the decision of Hines to depart and play his senior season elsewhere took Krystkowiak by surprise. The other five transfers – point guards Anthony Odunsi and Kareem Storey and forwards Javon Dawson, Dijon Farr, and George Matthews – will allow the program to remake itself. By no means should we consider the Ute roster complete at this point – it may be a work in progress for several years – but Krystkowiak and company will welcome in no less than seven newly eligible players next season. 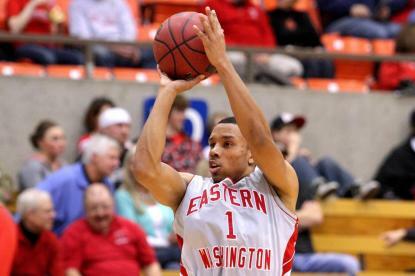 Division I transfers Aaron Dotson (6.8 PPG, 2.7 RPG at LSU in 2010-11) and Glen Dean (13.3 PPG, 4.2 APG at Eastern Washington in 2010-11) have spent their one year in NCAA purgatory and will bolster the Utah backcourt next year, perhaps serving as the starting tandem. The Utes also welcome freshman guards Brandon Taylor (a 5’9” point who may be pressed into backup duties next year) and Justin Seymour (a scoring guard who could be ready to play immediately). Up front, the Utes welcome back redshirt freshman Jeremy Olsen from a two-year Mormon mission, while gaining the services of 6’11” center Dallin Bachynski (the brother of Arizona State’s Jordan Bachynski, he is a junior college transfer also coming back from a Mormon mission) and this year’s prized recruit, 6’7” combo forward Jordan Loveridge. It is all a matter of degrees. If you are looking for hope that this Ute team is going to vault right back to the historic levels of play in the program, you are out of luck. But if you just want to see the first of baby steps on the way back from the depths of 2011-12, this roster should be able to provide them. While this Ute team is surely on the very short list of teams that should be expected to compete for the basement in the Pac-12, if Krystkowiak can get similarly consistent effort out of this club as he did from his first Utah team, he has a better batch of talent and should be able to begin the long trudge back towards respectability. Seventeen transfers over the course of three seasons is ridiculous and gives the impressions that Salt Lake City is not a place you want to be as a college basketball player. Then there’s Krystkowiak’s decision this past week to ask recruit Josh Hearlihy to back out of his National Letter of Intent (which he signed in November) due to fears over his health, a move which doesn’t do a whole lot to bolster potential recruits’ trust in the Utah program. And, lastly, there’s the issue with Foster’s recovery from injury. While he’s by no means a polished offensive player, if he is able to go next year he’ll immediately make the Utes a significantly more imposing defensive team, while if his injuries get the best of him again, the Utes will be lacking a difference-maker in the middle. C-. Yeah, the 6-25 record indicates a grade worse than this, but given the mess that Krystkowiak inherited here, those six wins represent overachievement based on preseason and early-season expectations. So, while we will pass the Utes, this is definitely not a program going on the honor roll this year. *Note: this post contains a sponsored link. This entry was posted on Tuesday, April 17th, 2012 at 11:00 am by AMurawa	and is filed under microsites, pac 12. Tagged: aaron dotson, anthony odunsi, brandon taylor, chris hines, dallin bachynski, david foster, dijon farr, george matthews, glen dean, Jason Washburn, javon dawson, jim boylen, jordan loveridge, josh hearlihy, Josh Watkins, justin seymour, kareem storey, larry krystkowiak, utah, will clyburn. You can follow any responses to this entry through the RSS 2.0 feed. You can leave a response, or trackback from your own site.